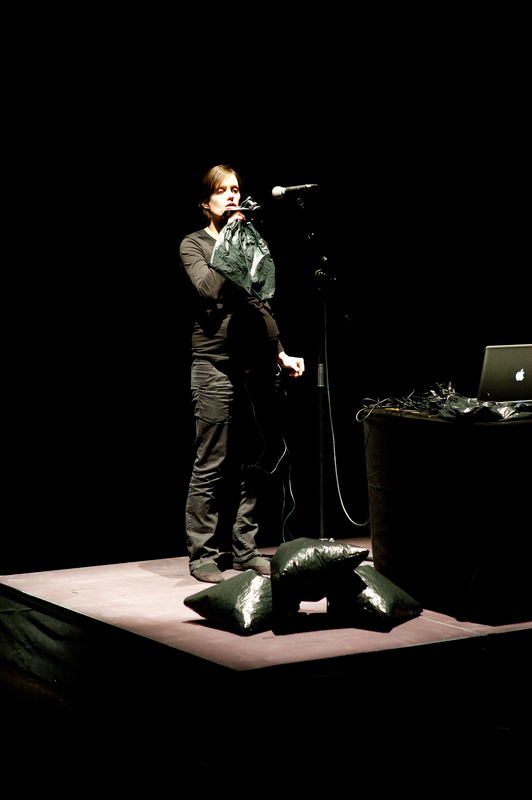 Double Beat (2013) a performance for plastic bags, breath, two heart beats and electronics. 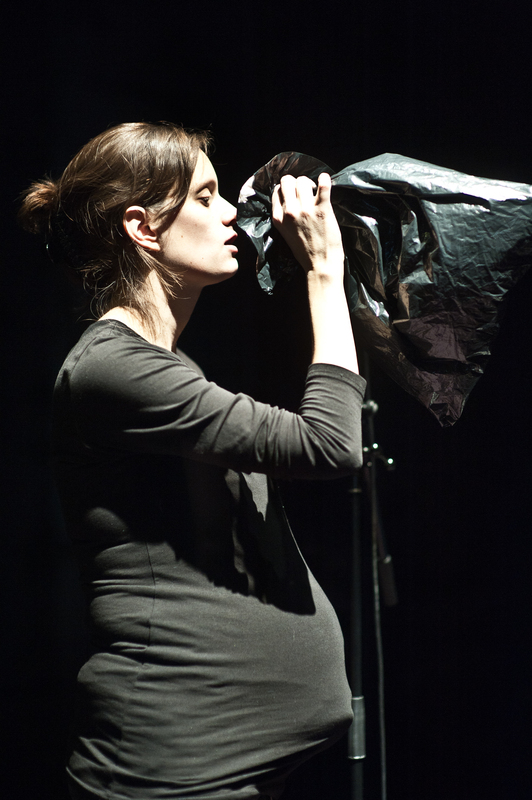 During the performance, the woman inflates plastic bags with her breath. In Double Beat, the performer has to be a pregnant woman. Her heart beats as well as the heart beats of the infant are picked up each by a so-called fetal Doppler device. Although the audible result sounds as if the heart beats are just amplified, in fact, the heart’s movements are detected with the help of ultrasound and this is represented in sound. 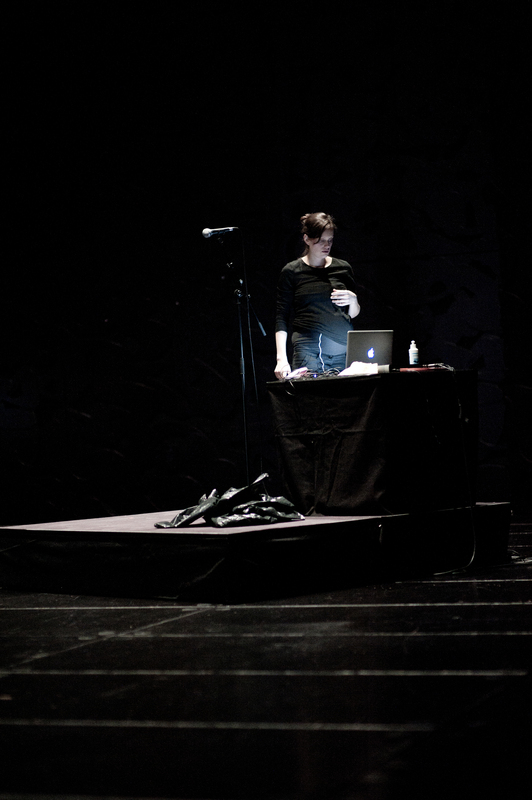 The piece was performed at the MUMUTH hall in Graz, in which a system with 33 loudspeakers is situated, and the heart beats were placed at different positions of the hall. The sound fragments presented here are recorded immediately from the outputs of the computer. The more bags that have been inflated, the longer and louder the heart beats sound. This project was part of the “Mind the Gap” symposium: “Six artists formulated a musical bagatelle, an artistic sound concept, an acoustic idea, and present their work in duplicate: both in the MUMUTH concert hall in Graz (with 33 loudspeakers) and on the Web. A major challenge was to conceive the work such that in the two very different spaces—in the black box and on the whire board; with 33 loudspeakers and in stereo—it can unfold its aesthetic effect independent of the context” (see Mind the Gap). In my online version of Double Beat the visitor has to “inflate” the plastic bags him- or herself. Searching for heartbeats at the beginning of the performance.